I console myself with the thought that, in our statistically minded times, all this has probably already been printed in books which one can consult if need arise. At present I am preoccupied with sense-impressions to which no book or picture can do justice. The truth is that, in putting my powers of observation to the test, I have found a new interest in life. How far will my scientific and general knowledge take me: Can I learn to look at things with clear, fresh eyes? How much can I take in at a single glance? Can the grooves of old mental habits be effaced? This is what I am trying to discover. I was reminded of this quote as it appears in Craig Holdrege’s foreword to the book Goethe’s Science of Living Form: The Artistic Stages by Nigel Hoffman. Although I did read this around four years ago, I have come back to re-read it as Hoffman brilliantly explores Goethe’s approach to science, one where he is not interested in single observations, but of “getting to know things in all their variations”. 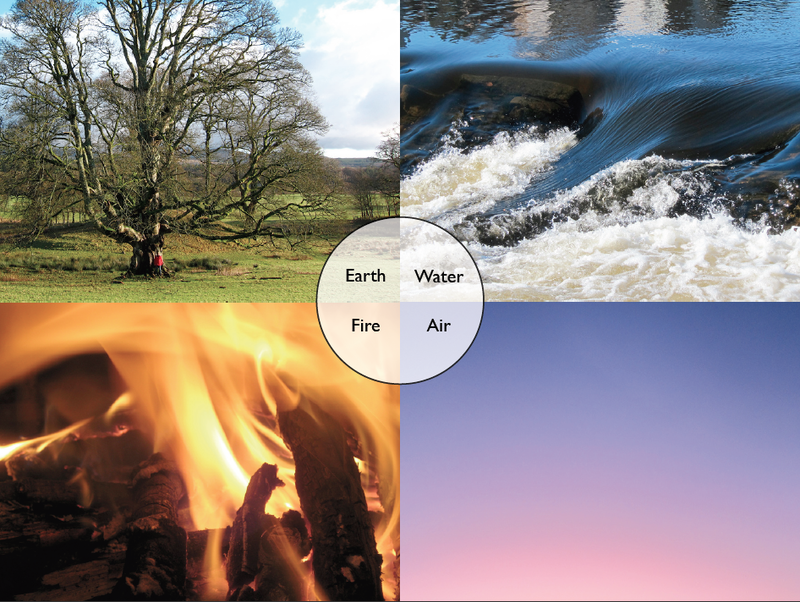 He does this by comparing different modes of cognition to the four elements of earth, water, fire and air, and by exploring the qualities of these elements, shows how they can, as Goethe sought, help us see the world with fresh new eyes. Our thoughts are able to move from one perspective to another, rather than getting stuck in a single perspective. We become more sensitive to limitations in our current perspectives. We can appreciate new aspects of phenomena which we are investigating. We come to be able to appreciate the qualities of the phenomena under investigation, rather than being limited to that which can quantify. Goethe was interested in the study of organic forms. Nature is not fixed, and organisms are not machines where the order within them is imposed by a designer from without. As Hoffman points out “an organism is, in its essence or primary nature, free and creative“. Goethe developed a method which sought to unite the creative freedom of art with the objective realism of science. By developing new modes of cognition, all of us can learn to make sense of the world in new ways hitherto unknown to us. While this sounds all well and good in theory, in reality even though we may talk about new paradigms and new mental models, it is apparent to me that many of us are still stuck in a restrictive mode of consciousness, and this applies as much to the business world as it does to the scientific arena. It is not enough to study the theory, one really has to get into the practice of developing what Goethe referred to as new “organs of perception”. As an example of one such study, I am hoping in the next week or so a guest article by Kengo Kurimoto, a visionary designer whose work has foundations in ecological and sociological fields and who is currently studying Holistic Science at Schumacher College. I wanted to mention Goethe’s Science of Living Form as it has such relevance to those interested in sensemaking and complex systems, but also as a mini prequel to Kengo’s article. Correction for the penultimate paragraph: “organisms *aren’t* machines”. Thanks for spotting the typo – really helpful.